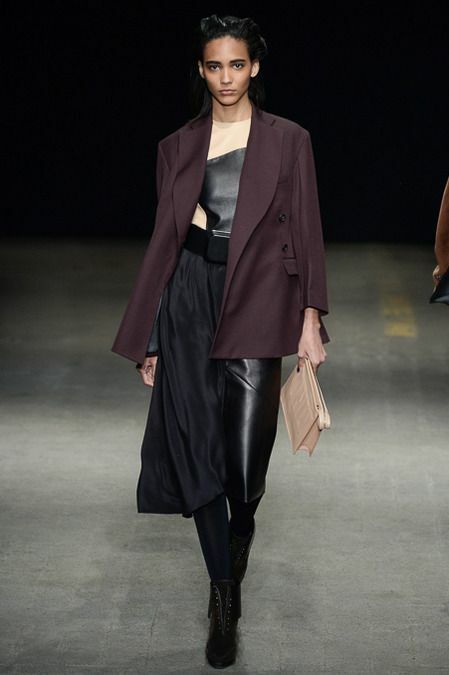 Amped-up natural beauty with a kick of exaggerated edge was the beauty look that accompanied 3.1 Phillip Lim‘s graphic and geomerical Fall/Winter 2014 collection at New York Fashion Week. 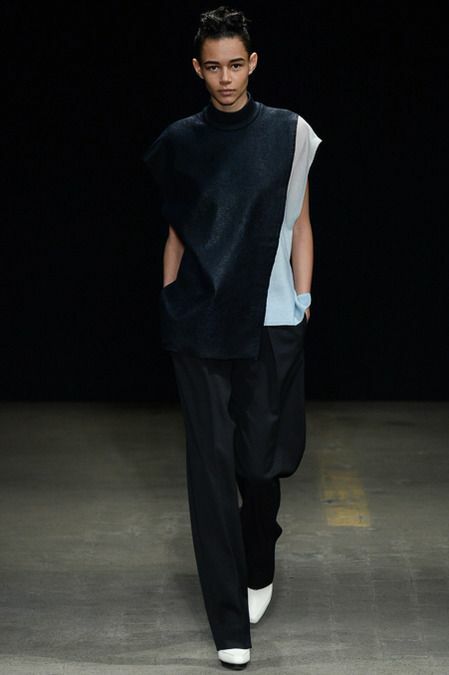 “It’s time to ‘rock the casbah’ this fall. A bold, angled brow, clean eyelids and slightly sculpted cheeks give a bit of new wave punk inspiration,” lead NARS artist Francelle Daly said of the look. Plus, a brand new nail polish collection between 3.1 Phillip Lim and NARS is on the horizon, and the first shade was debuted at the show! Check out all the details here. It’s no surprise that this look was all about crafting beautiful bold eyebrows. 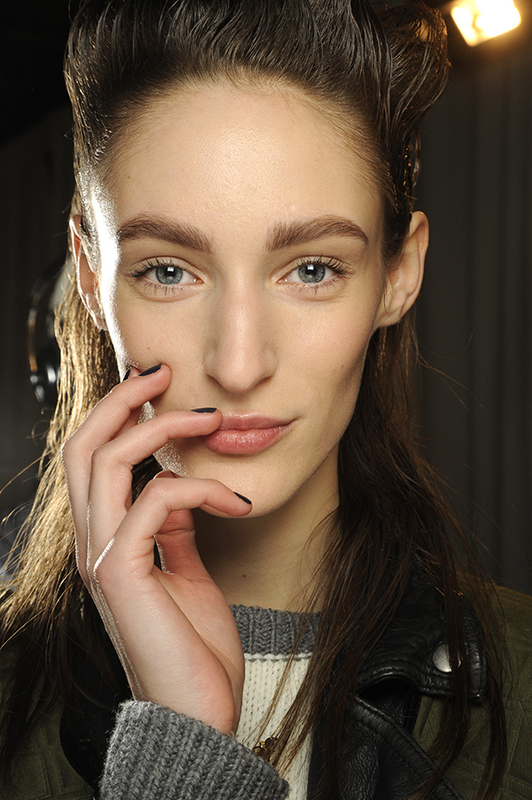 The makeup team used NARS Brow Perfector to shape and enhance the models’ natural brows. Then the team exaggerated each girl’s eyebrows by filling them in with Matte Eyeshadow shades of either Blondie, Bali, Bengali, New York or Coconut Grove — depending on their hair color. Making sure all the emphasis was on the eyes, the team put Oural Brow Gel on the girls’ eyelashes along with Larger Than Life Lengthening Mascara. 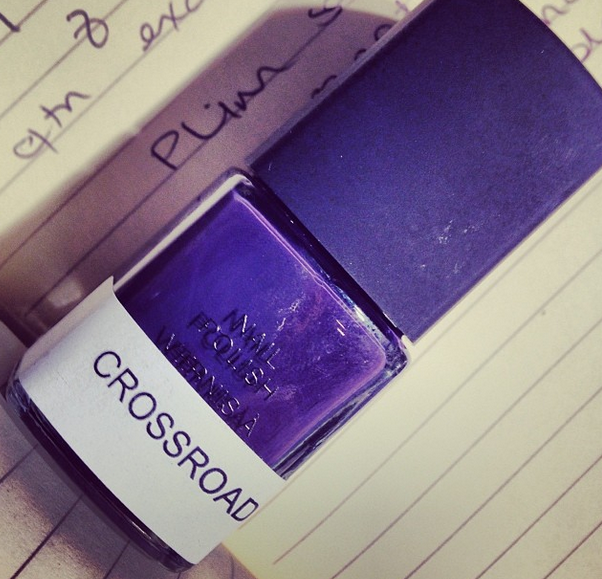 For the models’ nails, the NARS team used a brand new shade called Crossroads, a moody purple that is part of the new 3.1 Phillip Lim for NARS Nail Collection. The new launch will debut in August 2014, and it will include nine limited edition nail shades created in conjunction with Phillip Lim. “The collection combines Phillip’s signature style with NARS’ iconic and audacious beauty philosophy,” the brand explained in a press release. To give the models’ complexion a brilliant glow, the team prepped the skin with a base of NARS Pure Radiant Tinted Moisturizer and added some extra coverage with the Radiant Creamy Concealer. The look was set with both Light Reflecting Setting Powder – Loose and Light Reflecting Setting Powder – Pressed. A subtle pop of color was added to the cheeks with Nico and Zen Blush.